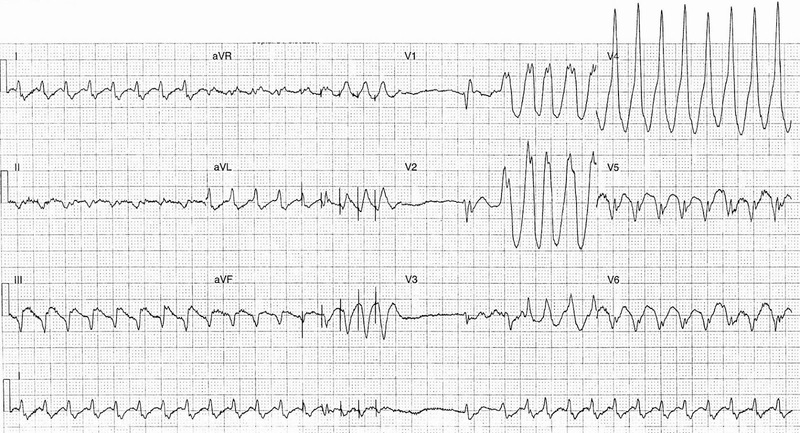 The following ECG is from a 75 yr old male with a histroy of cardiomyopathy. He presented to the ED following shock delivery from his AICD. What are the key ECG findings ? Is the AICD functioning appropriately ?